Luxury baths you’ll want to lay back in and relax! There are numerous ways in which people relax, but the one that always seems to be the top the list for most is laying back in a warm soapy luxurious bath. 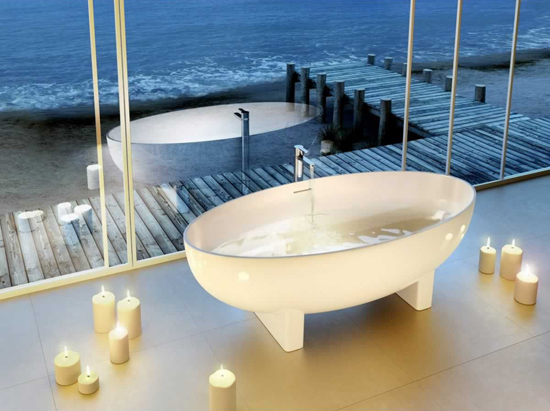 With this in mind we have come up with three suggestions for baths which we are confident will relax you. 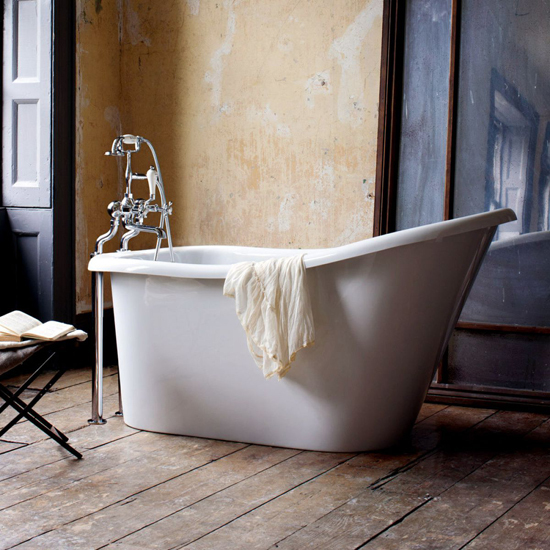 Vileroy & Boch have over 250 years of inventiveness and foresight as so you would rightly expect them to know a thing or two about producing a bath that will relax. The Villeroy & Boch La Belle Inset Bath fits the bill perfectly featuring a very contemporary look with the geometrical style, this bath is without doubt perfect for a modern and minimalistic bathroom. A comfortable 200 litre capacity the exclusive Villeroy & Boch is manufactured with Quaryl which gives a smooth pleasant feel, but nonetheless a vital non slip surface. We have not included taps or shower head in the price as the options for this bath are wide ranging. If you are looking for something that is certain to give a wow factor to any bathroom, why not install the stunning Clearwater Lacrima Natural Stone Freestanding Oval Bath? This company manufacture a wide range of natural stone baths, we can guarantee that any one of them would be a feature in any bathroom, but we particularly like this one. Uniquely these baths are made from a single piece of 18mm thick stone, hand polished until it is silky smooth. Should the bath be scratched at any time the surface can be easily restored by polishing. 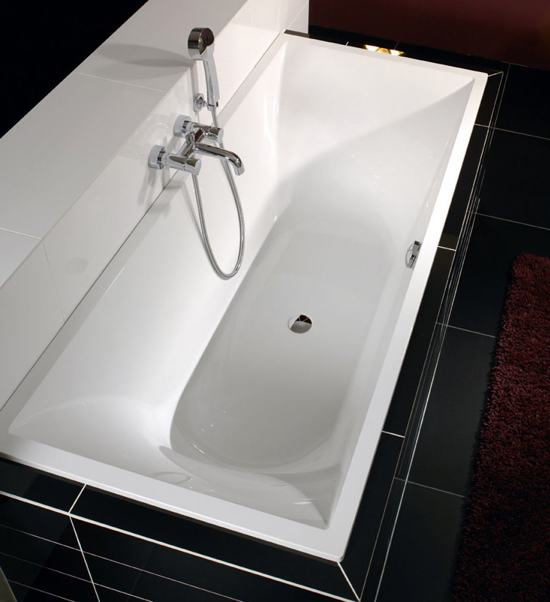 Users will find that this bath has a larger internal bathing space than a conventional bath and because it does not have feet, the depth is also greater. For peace of mind, Clearwater gives a ten year guarantee on the bath. For many the Edwardian and Victorian era was one of elegance and the last bath we feature displays all of that. The Burlington Emperor Slipper Bath is pure and elegant, the Emperor bath can be described as fit for a King; this bath is crafted into an exquisite slipper shape that provides the user with a luxurious soak. The capacity of this slipper bath is generous and the 242 litres will ensure that you enjoy a warm soak within this curvaceous bath, the shape also gives plenty of back support for your added comfort. The bath can be fitted with either deck mounted taps and we supply a template for this, or a tall free standing bath mixer, which will ensure that the sophisticated look of the slipper bath remains.